Inmates locked inside the Security Housing Unit, or SHU, at Corcoran State Prison are considered to be some of the most dangerous in California's prison system. 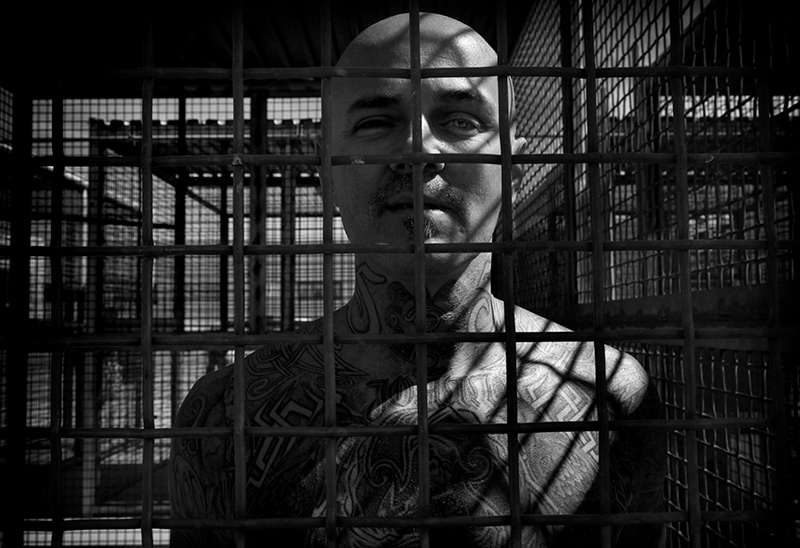 Some are separated from the general population because of violent infractions like attacking a guard; others are deemed members of prison gangs. Roughly one-fourth of the prison's 4,386 inmates are in the SHUs and spend 23 hours a day in their cell. Inmates rarely leave their 11 by 7 foot cells except to be escorted, handcuffed, to the outdoor cages for exercise several times a week. The SHU has been the focus of prison protests and external scrutiny by Amnesty International, Human Rights Watch and the ACLU who have released reports detailing the psychologically damaging prison conditions and physical health problems that solitary confinement causes. A United Nations investigator is also seeking access to the prisons to review conditions in the isolation units. This past Fall, A two-month-long hunger strike involved thousands of inmates protesting their ³inhumane² prison conditions. Corcoran was the first California prison with a separate facility built exclusively to house SHU inmates. Brent Shelton, who is legally blind from a shotgun blast incident, is housed inside a SHU cage during yard time at Corcoran State Prison. Shelton, 41, said "solitary" is the only way to describe it. &quot;You're living in cages," he said. "Dog cages." He's serving a life sentence for armed robbery and was placed in the SHU because of his alleged affiliation with the Mexican Mafia.